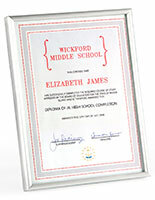 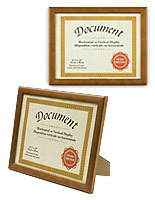 What size frame is required to showcase a standard certificate or document? 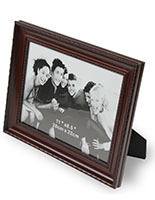 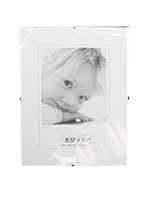 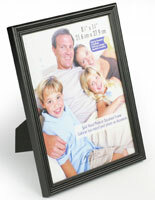 8.5" x 11" picture frames are designed to display these items, and if choice is what you are looking for, you came to the right place! 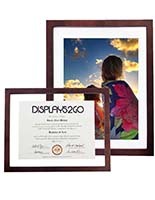 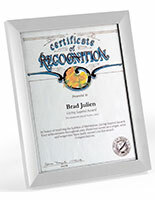 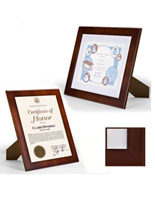 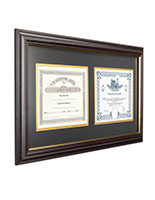 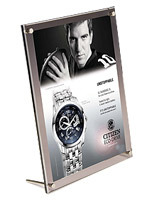 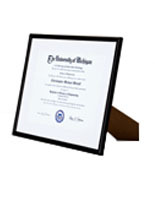 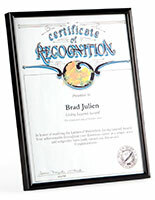 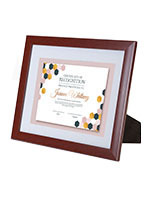 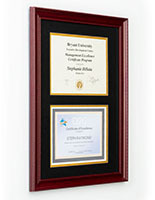 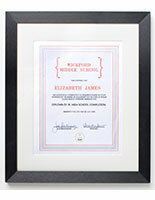 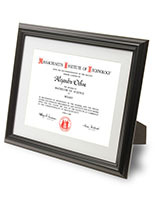 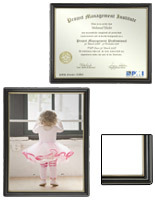 Used to present diplomas, certificates of completion, and other accreditations, these display frames offer over 40 styles for highlighting your achievements. 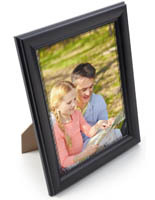 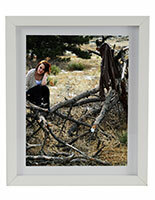 The most popular 8.5" x 11" picture frames are most definitely the wood models because they provide a traditional, upscale presentation with some featuring pre-cut matboards. 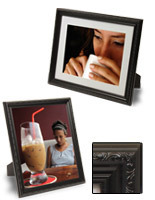 But these frames aren't your only option. 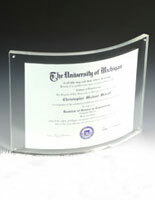 Contemporary clear acrylic plates with curved designs are big attention-getters and look fabulous displayed on your table or desk. 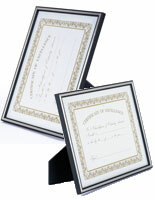 Your certificate is simply sandwiched between the two plastic plates. 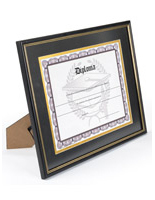 Collage displays offer a great idea for recent graduates which include areas for inserting a diploma, photo, and hat tassle. 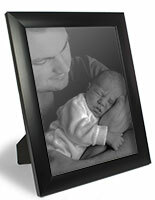 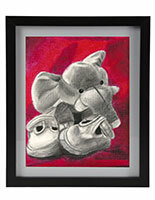 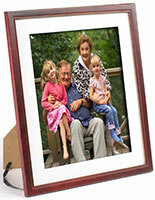 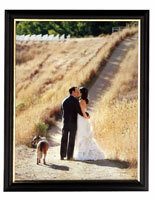 Frameless glass frames are another option entirely and are one of the least expensive holders in the collection. 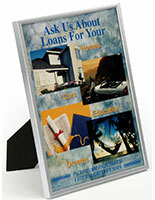 In the market for multiple units? 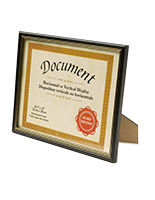 Buy in bulk! 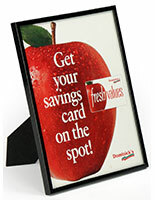 We offer volume discounting with price breaks plainly shown on every product page. 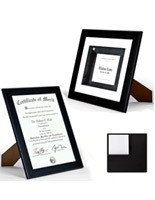 Achieving a standard of quality or competence is worth the time and expense of completing; spotlight your achievement with a handsome picture frame!